First off, I am so enjoying all your pie comments, both the unusual pies that I've never heard of and am tempted to google and the ones that I know so well that they bring back good and sweet memories. Keep those coming because the drawing is open until June 29 when I'll announce the lucky winner. As for today's post, well this has been out for a couple of weeks. I know because I have received numerous lovely emails about this. I haven't posted about this myself because I hadn't received my copy until yesterday. What is this? 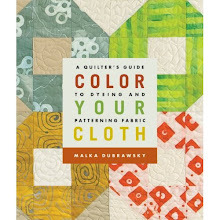 This is my feature in the August 2012 issue of American Patchwork and Quilting. It has been a long time in the works, since last October in fact. Way back then, when the local temperature was below 100 degrees (the high was 113 degrees here yesterday), an editor and two photographers arrived on my doorstep to interview me, take pictures of my fabric line as well as my work, and just generally spend a lovely day with me. It was beyond terrific and pretty thrilling. I'm always stunned when folks want to know what I think. I mean, I want to know what I think and I hope that my family and friends want to know what I think, but I don't usually expect it beyond that circle. 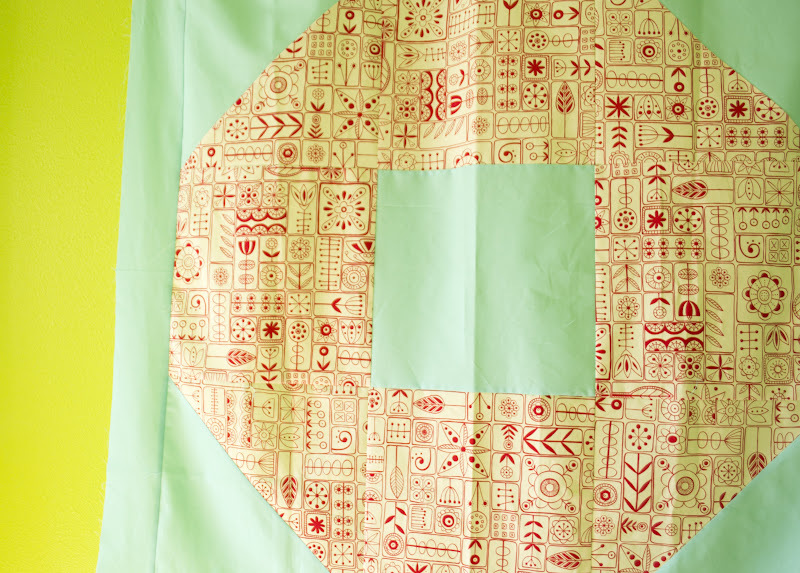 Along with the article, I designed and wrote a pattern for a quilt specifically for this issue. You can view and access the pattern here, though I encourage you to buy the magazine and read the entire article. Maybe through happenstance or not, I was teaching a class at Stitch Lab last Sunday that focused on making just this block. I had previously made a sample to promote the class, but was moved to make another one when I eyed Lucie Summers gorgeous Summersville prints all line up in a neat little row in the shop. I combined those with a Moda Bella solid in a pale turquoise shade and one of the Flea Market Fancy reprints and in less than three hours I had this top cut and pieced. 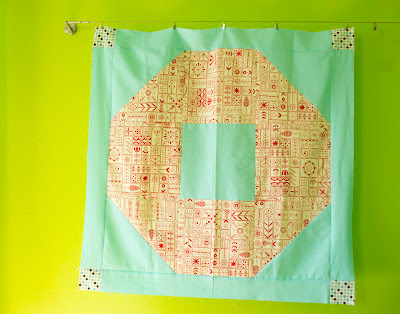 I'm planning on backing this quilt with a Micheal Miller polka dot in red and white and quilting it in my, hopefully, trademark concentric spiral. I think I might even round the corners on this one just as a change of pace. So easy, so fun, so quick and, so contemporary. What's not to love? 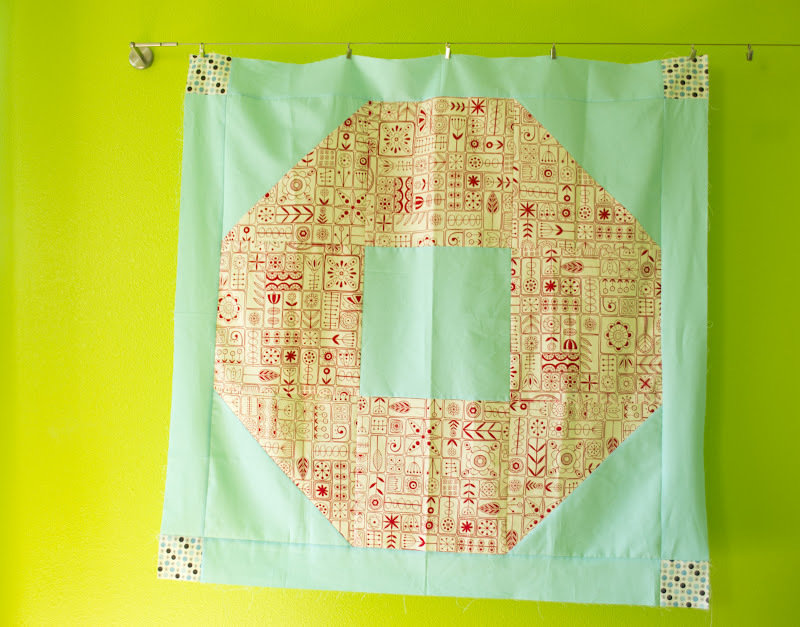 Someone probably already emailed you, but Pat Sloan talked about the quilt with a friend on her APQ radio show last week, too! I really love the patterns this has - really lovely! I am really liking this shape, seeing it a lot right now. I had no idea this was SO big, until I clicked the link! 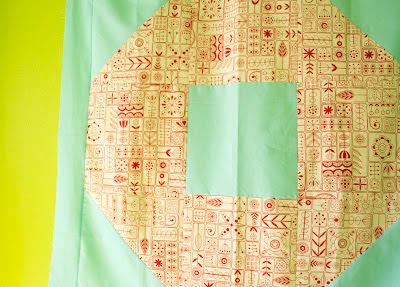 I found your blog because of American Patchwork and Quilting! I plan on sitting back and reading for awhile on your blog.... but I wanted to comment that I LOVE LOVE LOVE the colors you use and the dye techniques. Thanks for sharing and congrats on APQ. What a great combination of fabrics. very very cute like all other thing you do! 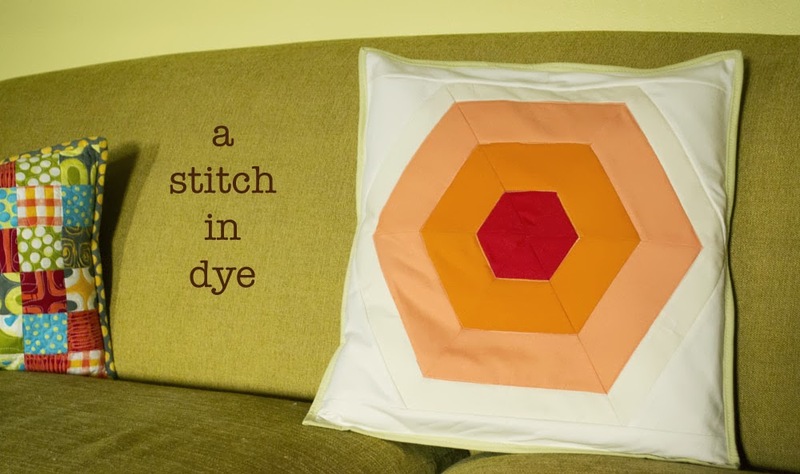 You are inspiring me to make a quilt. I love your color choices. New to your AWESOME blog and I am totally obsessed! Thank you for sharing! I will be checking in again real soon :). It was very nice to meet you!